Whether you’re building your own home or using contractors, you should consider a structural warranty policy. 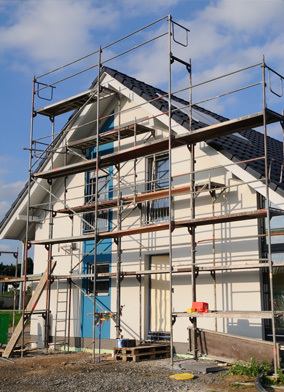 At SelfBuild Insurance we can provide a 10 year warranty that is designed to protect against the cost of complete or partial rebuilding or rectifying work to the house as a result of defective design, workmanship or materials. Lenders and solicitors may expect you to have this cover, and our Structural Warranty policies provide wider protection than an Architects Certificate. To get a quotation for a Structural Warranty policy please call us on 0800 230 0225 or request a call back. Alternatively, complete our Call Me form and one of our specialist team members will give you a call. Why do I need a Structural Warranty Policy? When your house becomes a home, it may need a little extra protection. Issues with the design, build or materials may come to light once the project is complete. Our policy is designed to protect your property and future owners of your property if you sell within its 10 year period. Lenders and solicitors may expect you to have this cover, and our Structural Warranty policies provide wider protection than an Architects Certificate. What does Structural Warranty cover? Your Structural Warranty policy primarily provides cover for defects found in the 10 years after the completion of build. The policies are designed to cover the cost of complete or partial rebuilding or rectifying work to the house as a result of defective design, workmanship or materials. The policies will also provide similar cover for the drainage system and waterproof envelope within the housing unit. Site inspections will take place throughout your project by qualified site surveyors, to monitor the progress of your project and to ensure it is compliant with Building Regulations. You can combine your policy with Building Control cover which provides sign-off of the property at completion and issues the Completion Certificate without having to go to the local council. Our quotes are from specialist providers of structural warranties and building control. With nearly 20 years’ experience, they cover thousands of buildings and developers nationwide and are the UK’s leading structural warranty providers. The policies are approved by The Council of Mortgage Lenders. We’ve worked closely with our providers to offer a Structural Warranty policy that is designed to meet your needs. With a 10 year policy, you want a partner you can trust. Our structural warranty providers have over 20 years in the insurance industry and their goal have always been to provide the appropriate cover at an affordable price. Our UK based support team of experienced agents is on hand if you have any questions about your policy. We also offer Self-Build Insurance, Site Liability insurance and Renovation & Conversion policies. If you’re looking to self-build to sell the completed project, please visit our SelfBuild Pro page.